Riding dirt bikes can be dangerous. 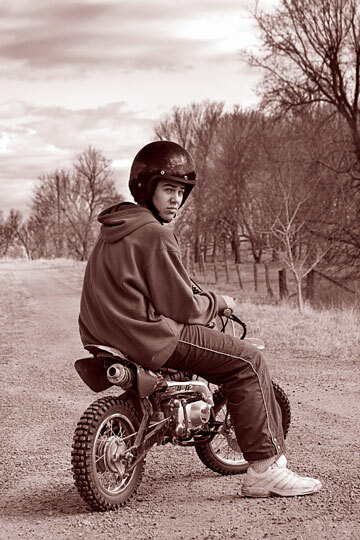 According to the Center for Disease Control and Prevention, an estimated 23,800 off-road motorcyclists under 20 years old were treated for nonfatal injuries in U.S. hospital emergency departments each year during the years 2001 through 2004. The study also noted that, during 2003, at least 13 motorcycle riders under 20 years of age died in non-traffic incidents in places other than on public roads. You can reduce the dangers of dirt biking by wearing safety equipment and following some common-sense safety precautions. All dirt bike riders should wear standard safety equipment, including a helmet, goggles, and gloves, as well as motocross boots and a chest protector. Helmets designed specifically for dirt bike riding are full-face and made of fiberglass or high impact plastic; they also contain a shock absorbing foam liner. Goggles should be snug-fitting, and gloves should be made of nylon with leather palms. A good pair of motocross boots should allow for ample movement while providing support and protection in the ankle, shin, and sole areas. A chest protector should cover the entire breastbone and upper rib cage. Additional safety equipment is always a good investment. Such items include a mouth guard, a jersey with padded elbows, and forearm guards as well as a kidney belt, knee pads, elbow pads, and pants with knee and shin guards. This extra equipment is especially important when racing dirt bikes. The additional money spent on safety equipment can be well worth it in a crash. Safety equipment is only one aspect of dirt bike safety. It will help protect you if you crash, but practicing certain strategies can improve your chances of avoiding a crash in the first place. It is beneficial to exercise regularly to improve your stamina, strengthen your muscles, and decrease your reaction time. It is imperative to never ride alone, and get off your bike when in trouble. You should carry water with you to prevent dehydration. Be sure to stop, wait, or help when you see someone in trouble, and slow down around people or animals. Following these common sense guidelines can help you avoid an accident and injury on your dirt bike. 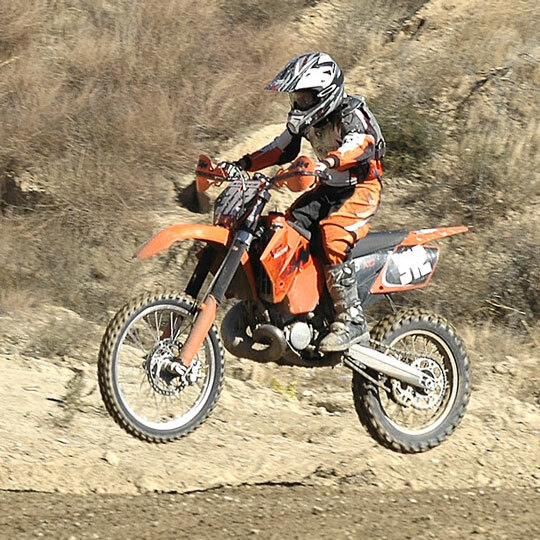 You should also consider taking a formal dirt bike riding class that will teach you safety maneuvers and give you a chance to practice new techniques. 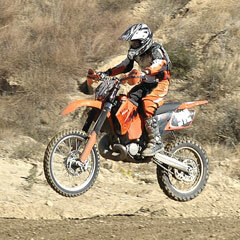 To find a dirt bike riding class in your area, visit the Dirt Bike School. This school, sponsored by the Motorcycle Safety Foundation, offers hands-on training sessions for beginning dirt bikers at locations across the USA.